This week we were host to two schools who collaborated to create incredible and unique artworks. Both schools participated in Art, Animation, Music, Dance and Drama classes during their stay with us here at Ingestre. Concentrating on the theme of Journeys, the groups expressed their ideas through space travel, personal journeys and their everyday journeys to school exploring the theme in lots of different ways. 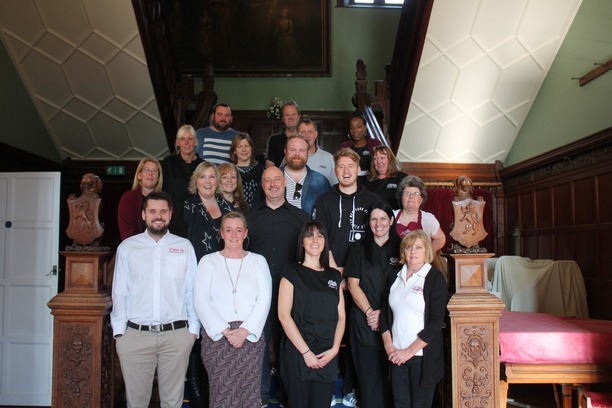 Our associates The Friends of Ingestre Orangery are breathing new life into the Orangery, a Grade II listed building that dates back to 1840, by turning it into a valuable community resource after it fell into disrepair over the last 30 years. The transformation is taking place over the next 5 months. With exciting additions to the original building, which will house community-led projects; the venue will also be available for Ingestre Arts to use as an exhibition and performance space. In addition to this, the Orangery will also be available for private hire and commercial use. Last week we were lucky enough to host an amazing group of 45 students from Tividale Community Primary School, Sandwell. Art, Drama, Music and Dance were the art forms used to explore the schools theme of Mythology. Tutors and visiting school staff were “absolutely blown away by the talent and creativity” that the students expressed. Last week we were thrilled to be able to host 77 children from Hagley Primary Cluster Schools, one of the larger school groups that we accommodate. The week was full of activities including Drama, Art, Music performance and recording, Dance, Animation classes, using the theme of celebrating what makes us special, and embracing our differences. The inspiration for the theme came from the children’s book ‘The Terrible Thing That Happened To Barnaby Brocket’ by John Boyne, about a boy who floats, and his ‘normal’ parents who struggle to come to terms with their extraordinary child.